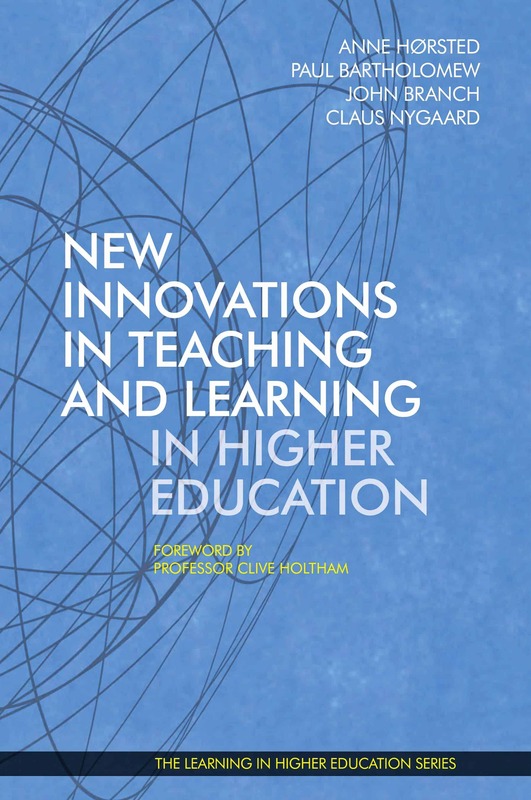 This volume in the Learning in Higher Education series, Innovative Teaching and Learning in Higher Education, brings together examples of teaching and learning innovations, within the domain of higher education. 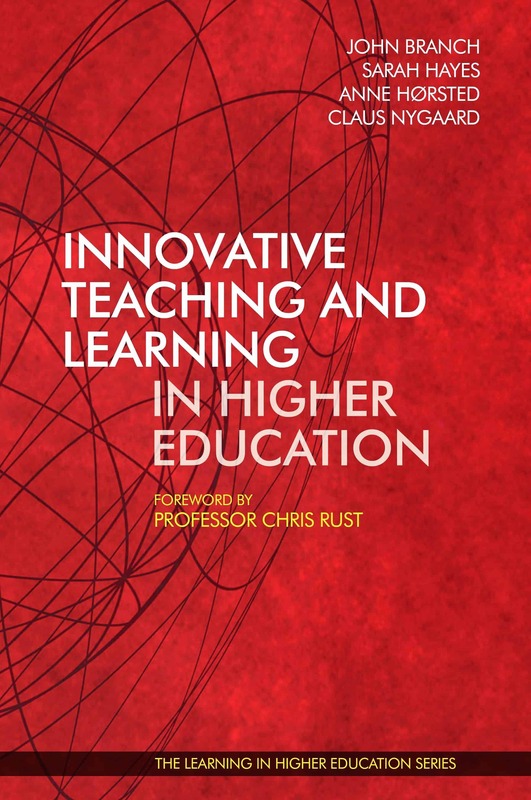 The book is diverse in nature and showcases concrete examples of innovative teaching and learning practices in higher education from around the world. The contributions come from all scientific disciplines and in all teaching and learning contexts. Kayoko Enomoto is Senior Lecturer, Head of Asian Studies and Director, Student Experience in the Faculty of Arts at the University of Adelaide, Australia. Richard Warner is Lecturer in the School of Education in the Faculty of Arts at the University of Adelaide, Australia. Professor Claus Nygaard is Executive Director at Institute for Learning in Higher Education, Denmark; Adjunct Professor at Copenhagen Business School, Denmark; Adjunct Professor at the University of Aarhus Denmark; Visiting Professor at Stockholm School of Economics Riga, Latvia. Expert in Management Education, and learning-centred higher education. Chapter 2: An Introduction to Technology-Based Innovations in Higher Education. By Mikiko Aikyo, Diane D. DePew, Karyn Holt, Kristina Rigden & Henriette van Rensburg (pp. 13-18). Chapter 3: Collaborating Pairs in Online Graduate Education. By Diane D. DePew & Karyn Holt (pp. 19-32). Chapter 4: Using a Learning Management System to Improve Students’ English Writing Skills. By Nguyen Van Han & Henriette van Rensburg (pp. 33-44). Chapter 5: Using Screencasting to Provide Effective Feedback on Academic Writing Assignments. By Kristina Rigden (pp. 45-56). Chapter 6: Teaching World Englishes through the Use of Skype as a Learning Tool. By Mikiko Aikyo (pp. 57-72). Chapter 7: Enhancing Student Engagement and Employability through the Use of Simulations. By Mette Skovgaard Andersen, Sherif Elbarrad, Kayoko Enomoto & Richard Warner (pp. 74-82). Chapter 8: Improving Students’ Meta-Reflective Abilities through the Use of Scaffolded Simulation Exercises. By Mette Skovgaard Andersen (pp. 83-100). Chapter 9: Using a Simulation Game to Teach Students Principles of Cost Accounting. By Sherif Elbarrad & Frank Saccucci (pp. 101-114). Chapter 10: Developing Undergraduate Students’ Transferable Generic Skills through an Innovative Group Drama Project. By Kayoko Enomoto & Richard Warner (pp. 115-140). 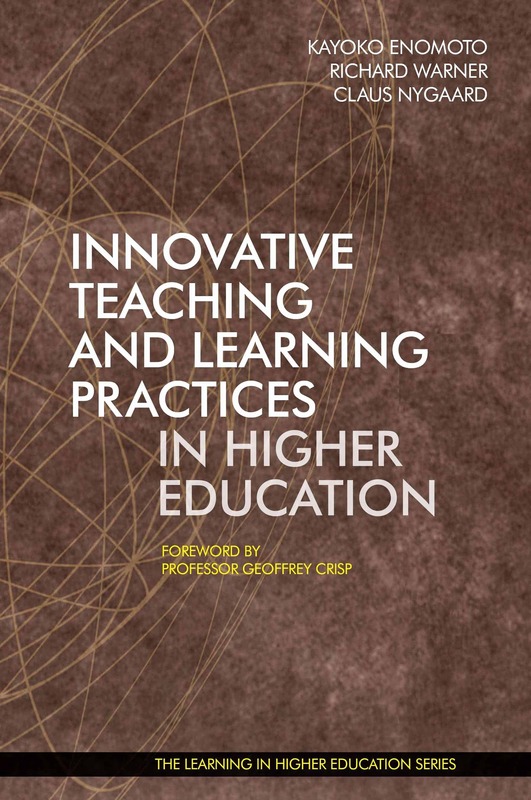 Chapter 11: An Introduction to Practice-Based Innovations in Higher Education. By Christine Spratt, Christine Armatas, Brenda Kalyn & Orcun Kepez (pp. 143-150). Chapter 12: Discourse Communities of Learning in Graduate School: An Authentic Transformative Experience. By Brenda Kalyn, Lynn Lemisko, Vicki Squires & Geraldine Balzer (pp. 151-178). Chapter 13: The Steelcase Active Learning Centre as a Community Design Centre. By Orcun Kepez (pp. 179-200). Chapter 14: Steelcase Active Learning Centre as a Testbed for Engineering Design Projects. By Taner Arsan & Orcun Kepez (pp. 201-218). Chapter 15: Evidence, Analysis, Action: Using Learning Analytics to Direct Curriculum Review and Improve Student Learning Outcomes. By Christine Armatas & Christine Spratt (pp. 219-236). • Section 3: Practice-Based Innovations. teaching and learning look like and how it takes place. Section 1, Technology-Based Innovations, holds five chapters. 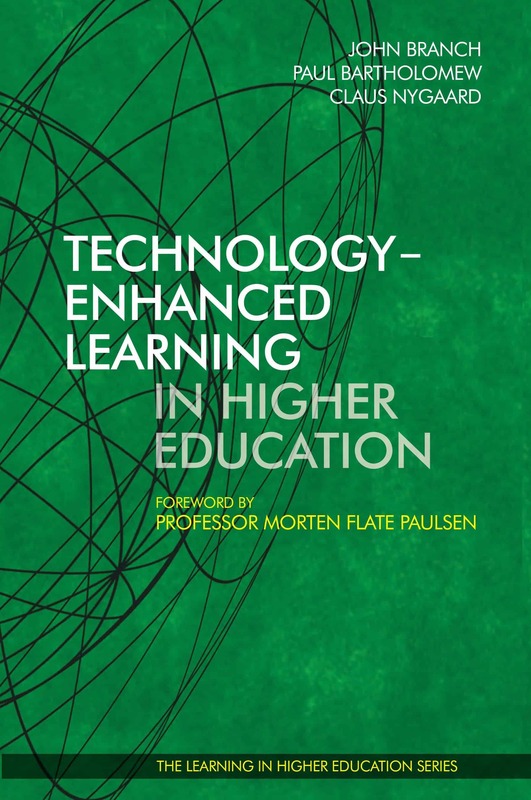 In Chapter 2, An Introduction to Technology-Based Innovations in Higher Education, Aikyo, DePew, Holt, Rigden and van Rensburg introduce and discuss the utilisation of technology as a tool for promoting innovations in their practice of teaching and learning, and as an enabler for active learning in higher education. In Chapter 3, Collaborating Pairs in Online Graduate Education, DePew and Holt address innovations in teaching and learning by exploring the perspective of ‘group work’ in higher education, through the particular window of two students in pairs, collaborating to work together in the online environment. This chapter shows how carefully structured activities can bring about the benefits of collaborative pair work. In Chapter 4, Using a Learning Management System to Improve Students’ English Writing Skills, Van Han and van Rensburg present how a college developed learning platform was incorporated into degree programs, in order to provide English as a second language students with the opportunities to improve their English writing skills in Vietnam. 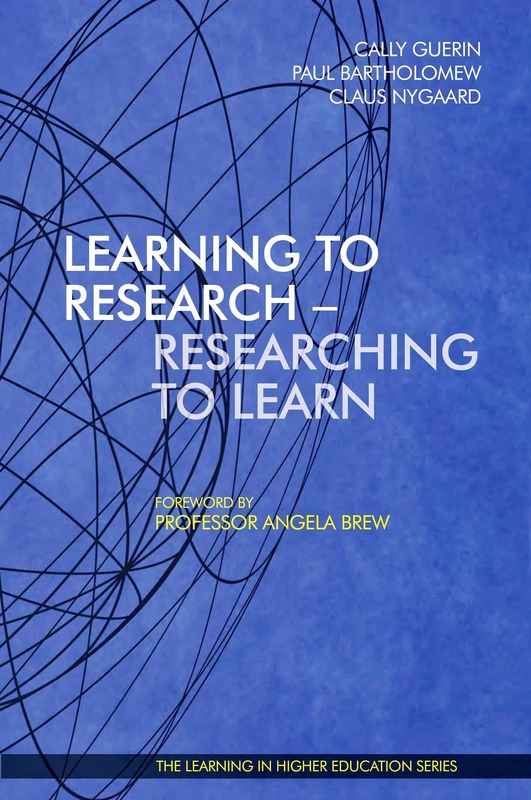 In doing so, this chapter examines how the role of the language teacher has shifted from instructor to facilitator and the role of the students from passive learners to active knowledge acquirers with the use of new technologies in language teaching in higher education. In Chapter 5, Using Screencasting to Provide Effective Feedback on Academic Writing Assignments, Rigden disseminates how screencasting technologies can be used to give audio and visual feedback to English as a second language students, as an alternative to using written corrective feedback on academic writing assignments. This chapter shows the effectiveness of the use of screencasting in helping the students with different learning styles and enabling them to be more confident in their English writing ability. In Chapter 6, Teaching World Englishes through the Use of Skype as a Learning Tool, Aikyo explores the use of Skype to teach the notion of ‘World Englishes’, whilst developing Japanese university students’ English competence, through individual conversation lessons given by English teachers in the Philippines. The chapter demonstrates how the students became more confident in both using English and communicating in a different variety of English that reflects the linguistic and cultural characteristics of a particular country. Section 2, Simulation-Based Innovations, holds four chapters. In Chapter 7, Enhancing Student Engagement and Employability through the Use of Simulations, Andersen, Elbarrad, Enomoto and Warner, introduce and argue for the use of simulation-based teaching and learning practice, as one effective way of enhancing student engagement while developing employability skills, such as teamwork and communication skills. They explore reasons for the use of simulations in contemporary higher education, in order to develop such employability skills in tandem with (and not at the expense of) developing academic, discipline-based knowledge and skills. In Chapter 8, Improving Students’ Meta-Reflective Abilities through the Use of Scaffolded Simulation Exercises, Andersen presents one innovative way of responding to the challenge of giving more ‘speech time’ to the students of German in a Danish university, through the use of simulation-based practice. The chapter also shows how real-world, authentic exercises such as role plays, are carefully scaffolded to be given to small groups of students, in order to enhance their meta-reflection, one core element of their employability skills. In Chapter 9, Using a Simulation Game to Teach Students Principles of Cost Accounting, Elbarrad and Saccucci address challenges of teaching the concepts of Cost Accounting, by using a hands-on, real-life example that allows student teams to build a house, applying cost concepts. 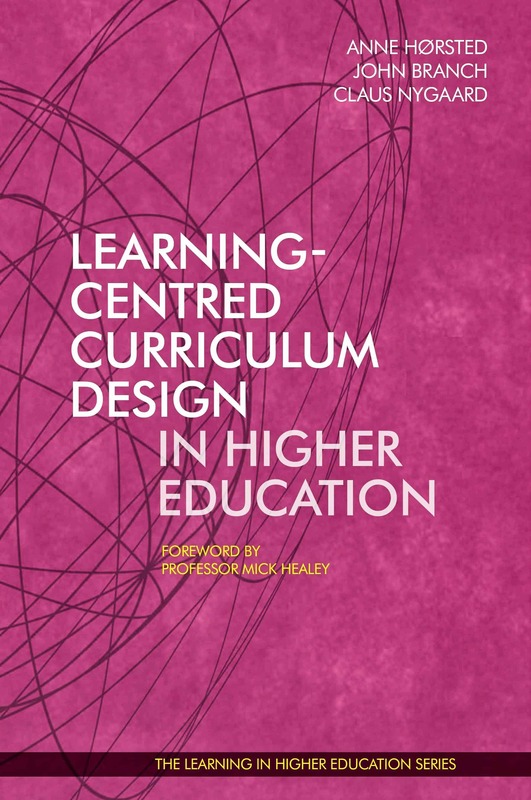 The chapter shows how such simulation-based learning (by doing) discourages students from merely memorising the concepts without understanding, but instead, effectively enables students to meaningfully and deeply learn the concepts. In Chapter 10, Developing Undergraduate Students’ Transferable Generic Skills through an Innovative Group Drama Project, Enomoto and Warner present the innovative use of a group drama project, focusing on the development of teamwork and communication skills and intercultural competence in a Japanese language course in an Australian university. The chapter also demonstrates how the group project design makes it possible to engage both the engaged and the less engaged, reticent students by double-tasking both discipline and generic transferable skills development in the language curriculum. Section 3, Practice-Based Innovations, holds five chapters. 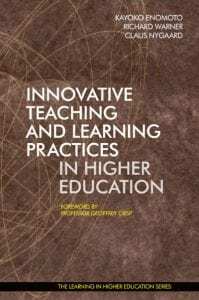 In Chapter 11, An Introduction to Practice-Based Innovations in Higher Education, Spratt, Armatas, Kalyn and Kepez argue for innovative practices to be firmly underpinned by the relevant literature to inform its design and implementation, and also to be guided by the notion of students as equal partners in the pedagogical process. In Chapter 12, Discourse Communities of Learning in Graduate School: An Authentic Transformative Experience, Kalyn, Lemisko, Squires, and Balzer discuss their innovative approach to teaching and learning at the graduate school level, through the investigation of the journey of graduate students, who are already in the K-12 school system, in order to learn about the impact that graduate school had on their personal and professional lives. 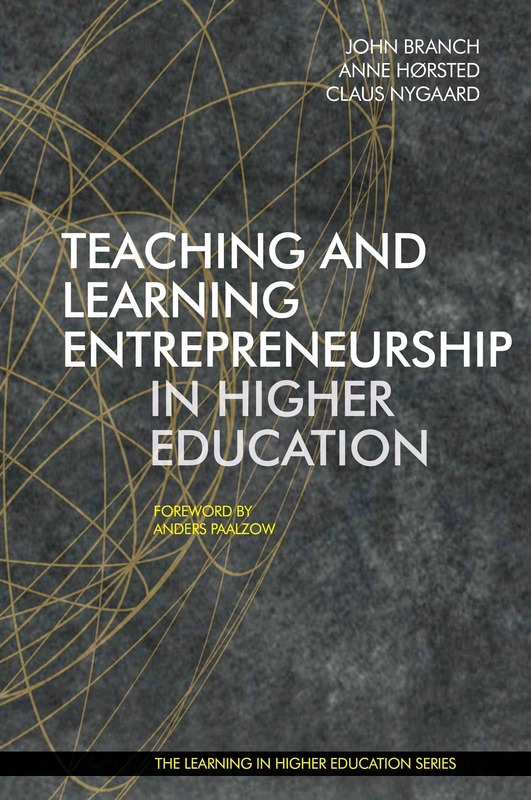 The chapter shows how the consistent and deliberate activation of student-centred learning that the students experienced at graduate school, in turn, motivated and empowered them to become innovators themselves during their own learning journey. In Chapter 13, Steelcase Active Learning Centre as a Community Design Centre, Kepez addresses innovations in teaching and learning by highlighting the role that both the physical environment and pedagogy play on student learning experiences. The chapter shows how the Steelcase Active Learning Center in a Turkish University was innovatively designed, to allow for a participatory model that enables the environment to be used as a Community Design Centre. In Chapter 14, Steelcase Active Learning Centre as a Testbed for Engineering Design Projects, Arsan and Kepez present the use of a new technology that helps track locations of users and furniture in an active learning centre in a Turkish University. The chapter also shows how the use of this technology effectively supports teachers to assign an engineering design project to student teams, whilst also positively influencing teachers not to limit their interactions with students, within the confines of scheduled class and office hours. In Chapter 15, Evidence, Analysis, Action: Using Learning Analytics to Direct Curriculum Review and Improve Student Learning Outcomes, Armatas and Spratt argue for the use of learning analytics data by teachers to conduct curriculum reviews for the purpose of improving their teaching and learning practices. 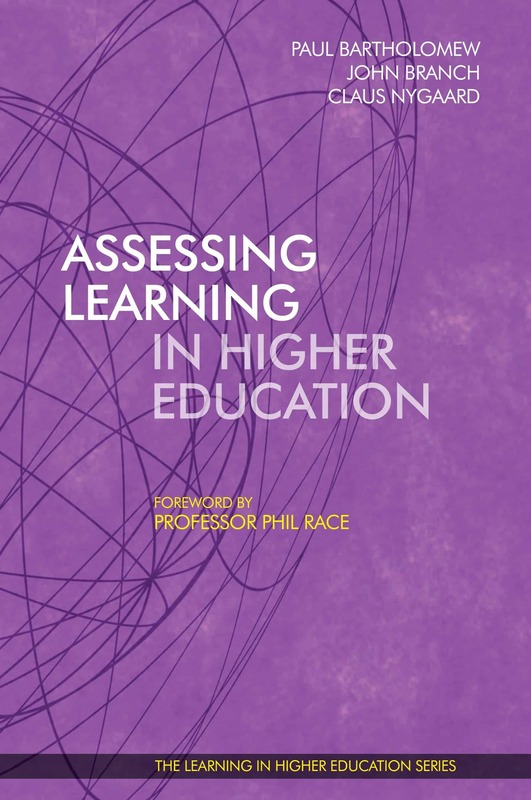 The chapter shows how the application of learning analytics is informed by a theory-based model to conduct evidence-based, data-driven programme reviews across several disciplines for curriculum enhancement at a university in Hong Kong.